I love living in Phoenix and I adore the desert landscape and temperatures, but I'm still a Michigan girl deep down and I love me some water! 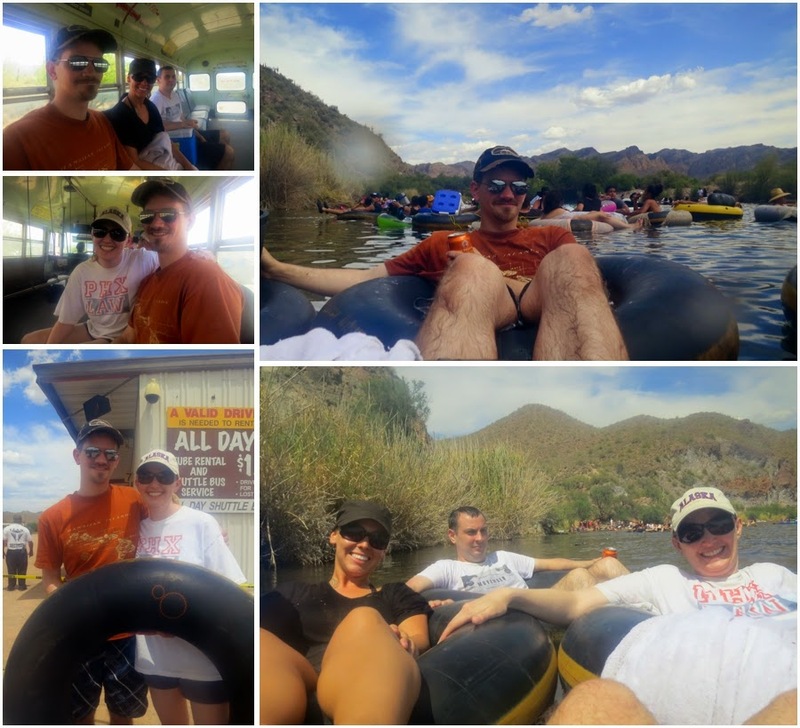 I thought tubing the Salt River would be a great way to see a little H2O, and relive all the fun memories I have of tubing as a kid back home. It was better!! I can't describe how much fun I had or how awesome it was to relax and float down the river with Kevin and a few friends. I can't wait to plan our next trip! Who wants to join us???!!! I've seen tubers floating down the river and often thought that it looked like fun. However, I have an extreme fear of water and I can't swim, so I don't know that I'll ever try it.